Our Minecraft Hunger Games The Movie PART 1 Video! Our Version of Minecraft Hunger Games! Happy New Year from SnyMed.com! It's been a blast having the kids home for the holidays, as I've been concurrently working full-time and multi-tasking. What does one do with 5 kids ages 4- to 9-years old during Christmas break? Why, we filmed Minecraft Hunger Games The Movie, Part 1! 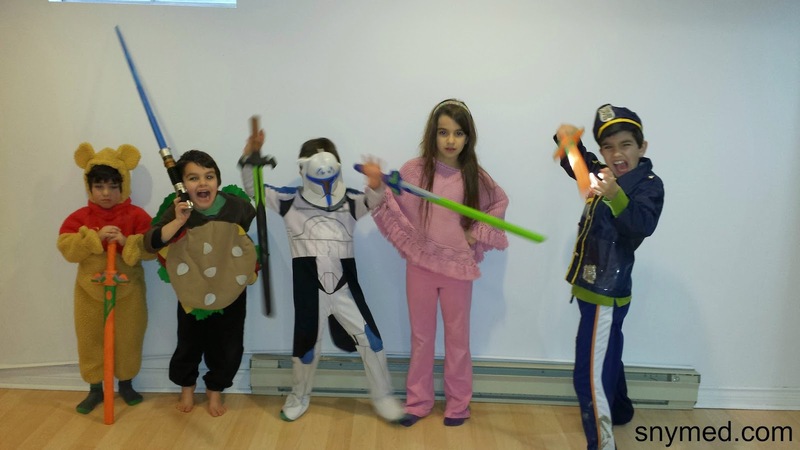 My kids are crazy about costumes, swordfighting, and epic battles. What activities have you enjoyed with the kids and grandkids over the holidays? Did you taken any photos or catch it on film? On New Years Day we took our little one sledding for the first time. He loved it, I captured some precious smiles. The best videos we got this holidays involved my son busting a move to some of his favourite tunes, including "All About That Bass," lol! What an awesome way to keep kids active! We wound up with a video full of some funky moves from our 4yo nephew this holiday, it was too cute. And he's already a better dancer than his uncle, LOL. How I've Kept Off 80 lbs - 2 Years Later! 2 Years of Health & Fitness!